Only for 4 Cylinder engine models with OM651 diesel engine. 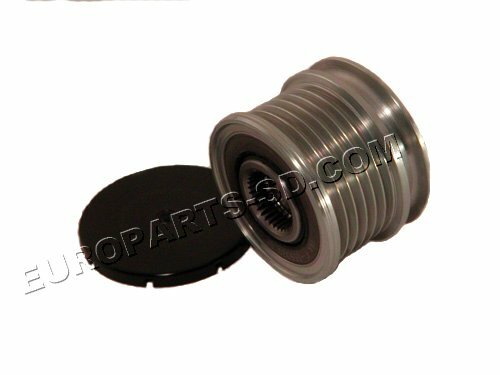 This is the identical OEM pulley sold at a franchise Mercedes dealer. To check the integrity of your alternator pulley, simply remove the belt and place a screwdriver into the front of the alternator cooling fan to stop the armature from rotating. Then turn the pulley by hand. If it moves one direction but, not the other, it is functional. If it will not rotate at all, it has failed. Freewheel Clutch/Pulley for alternator. This unit is standard equipment on all Sprinter alternators. IT IS COMMON FOR THIS DECLUTCHING PULLEY TO FAIL, LONG BEFORE THE ALTERNATOR WEARS OUT. A special tool is required for installation of this unit and are not usually replaceable outside a repair facility. 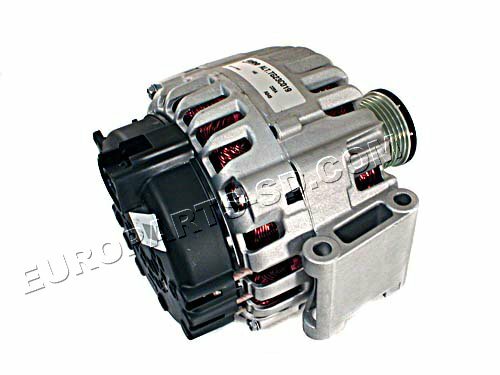 If you are purchasing a new alternator, you will not need to buy this, as the alternator is furnished with a new pulley. Only for V6 diesel, decoupling pulley is included. NOTE: These are NOT interchangeable with 220 amp alternator as the ECU on each vehicle is pre-programmed for one of two versions and this cannot be modified. The 220 Amp alternators are used on those models with a secondary A/C compressor (Roof-mounted A/C units). If in doubt, look at the black plastic backing plate on the alternator. It will be marked either 180 or 220. Only for 3.0 V6 diesel. The decoupling pulley is included. Save with 2-Day USPS Priority Mail Shipping! Flat rate shipping offer is only for the US. To check the integrity of your alternator pulley, simply remove the belt and place a screwdriver into the front of the alternator cooling fan to stop the armature from rotating. Then turn the pulley by hand. If it moves one direction but, not the other, it is functional. If the pulley will not rotate at all, it has failed. Original 200 Amp alternator, strictly for the OM651 4 Cylinder engine. This alternator is NOT interchangeable with the 250 amp unit, shown below. The decoupling pulley is furnished with the new alternator. 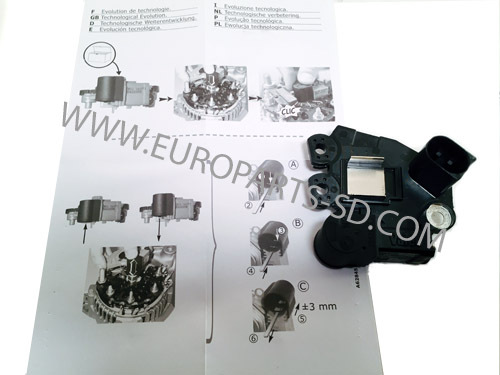 This unit is a new, original Valeo unit and is NOT remanufactured. It is the same unit sold at a Mercedes dealer. NOTE: These are NOT interchangeable with the 180 amp alternator, as the ECU on each vehicle is pre-programmed for one of two versions and this cannot be modified. NOTE: These are NOT interchangeable with 180 amp alternator as the ECU on each vehicle is pre-programmed for one of two versions and this cannot be modified. The 220 Amp alternators are used on those models with a secondary A/C compressor (Roof-mounted A/C units). If in doubt, look at the black plastic backing plate on the alternator. It will be marked either 180 or 220.Save with 2-Day USPS Priority Mail Shipping! Flat rate shipping offer is only valid when shipped to a USA address. This unit is r,manufctured by Bosch and an $ 80.00 core deposit is required. 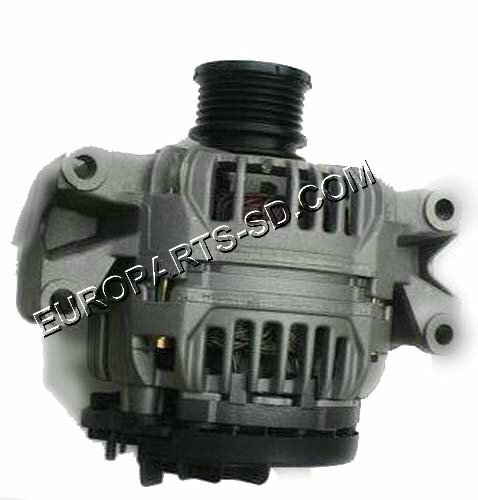 Original 250 Amp alternator, strictly for the OM651 4 Cylinder engine, equipped with this higher output alternator. 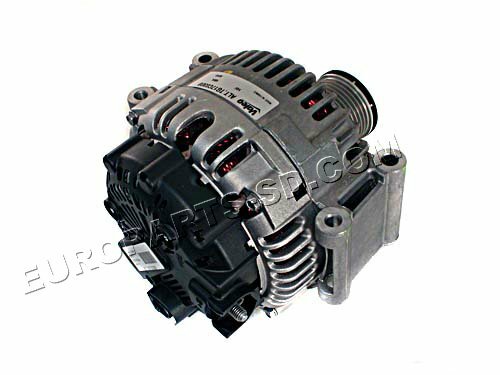 This alternator is NOT interchangeable with the 200 amp unit, shown below. 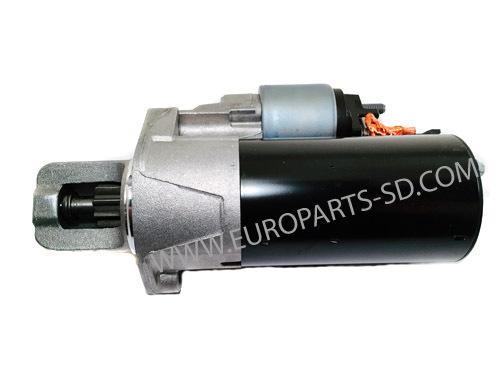 This unit is new and NOT remanufactured. It is the same unit sold at a Mercedes dealer. 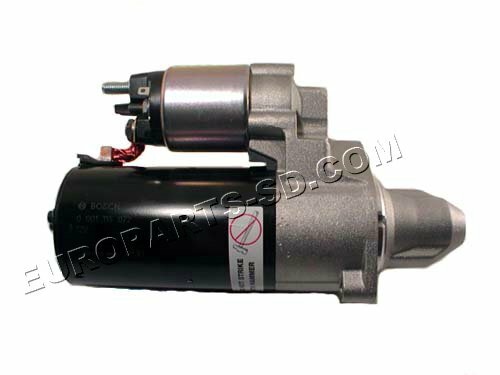 New OEM Bosch starter, identical to that sold by a Dodge dealer, except our unit is brand new and no core deposit is required. 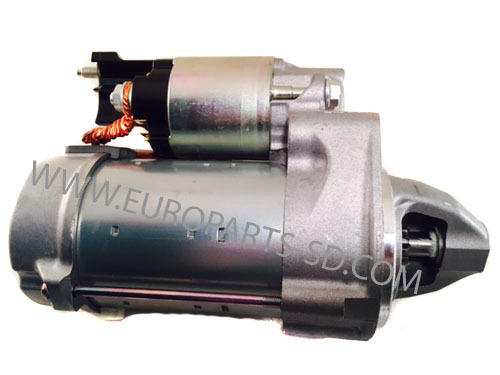 This starter is the identical OEM Nippondenso starter as sold by a Mercedes Benz dealership. Brand new original, no core deposit. Save with 2-Day delivery, USPS Priority Flat Rate Shipping! 2 to 3-Day Shipping to any US Zip Code included! Shipping rates to other countries is also shown but, delivery will take longer outside the US. This kit is only for shipping to a USA address. Rates for other countries are also shown. Alternator voltage regulator and cut-out. Located under black plastic rear cover of alternator. Fits ONLY Valeo alternator, NOT for Bosch. Fits 180 amp models only. The 220 Amp alternators are used on those models with a secondary A/C compressor (Roof-mounted A/C units). If in doubt, look at the black plastic backing plate on the alternator. It will be marked either 180A or 220A.